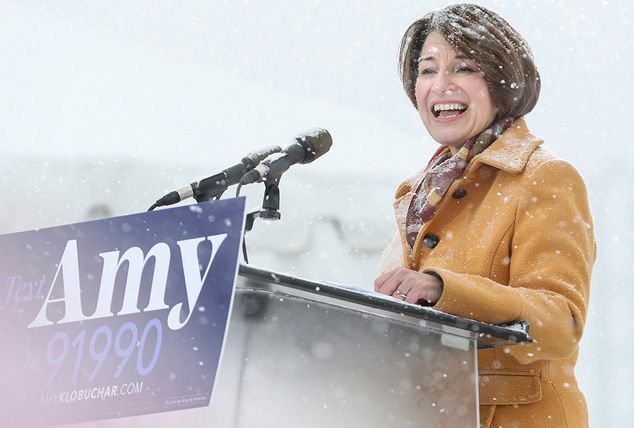 Klobuchar may, indeed, be the “Democrat best able to beat Mr. Trump,” said The Wall Street Journal in an editorial. “At 58, she’s a generation younger than Joe Biden,” her main centrist competition. With 12 years in the Senate, she’s experienced, and her gender “ticks the identity-politics box.” She’s also more pragmatic than many of her leftist competitors, advocating reforming Immigration and Customs Enforcement, rather than abolishing it, and giving people the option to buy into Medicare rather than imposing “Medicare for all.” But she faces headwinds. In a national survey, 49 percent of Americans said they’d never heard of her.